Operation AREA (Awesome Robot Enters Assemble) is an Urban Intervention project by John Choi where an advanced human-size mobile manipulator robot enters real-world educational environments to teach young children the basic principles of robotics. The hypothesis of this project is simple: large robots have an ability to inspire young minds in a way few other things can. The platform used for these events is Mobius, a 3.5-ft human-size robot designed and developed over the course of an entire year with 30 interdisciplinary freshmen at Carnegie Mellon University to do a variety of human size tasks, including but not limited to watering plants, cleaning rooms, delivering bagels, preparing ramen noodles and more. 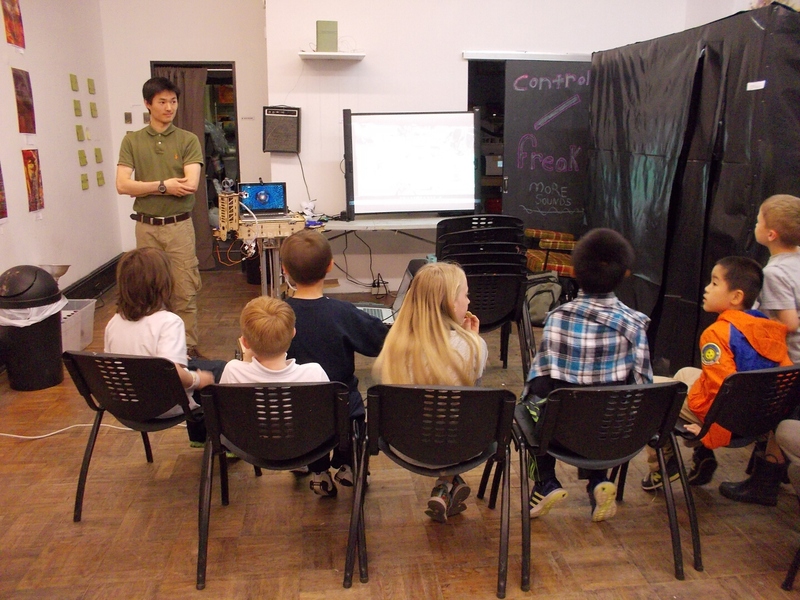 In the same spirit of engaging children with awesome robots, numerous other events were also attended over the course of the Spring 2016 semester. These events were SWE Middle School Day, Southwestern Pennsylvania BotsIQ, and also Take Our Sons and Daughters to Work Day. The original hypothesis was confirmed at every event: giant robots are exceptionally good at inspiring little children. Milestone 1: Research similar projects and communicate with Assemble. Milestone 2: Develop a curriculum and develop a website. Milestone 3: Deploy robot into educational environment. All Milestones, with the exception of a working website, were successfully completed. For Milestone 1, a non-exhaustive list of comparable educational and research-grade robots was compiled (Link: Competitors). Due to communication delays, a final date with Assemble was not scheduled until mid-April, resulting in the intervention confirmed for May 12, 2016. For Milestone 2, a set of three 30-minute activities with the robot aimed at children ages 8-12 were planned (Link: Awesome Robot Enters Assemble). Due to time constraints, a website was not fully developed, and instead focus was placed on development of the activities. For Milestone 3, the robot was successfully deployed at Assemble on May 12, where the robot actively inspired children to great effect. 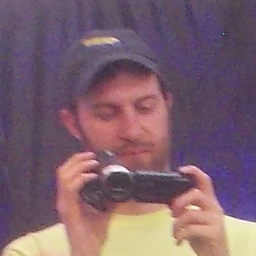 Zach Zacharias: Fellow Urban Intervention Student provided transportation to and from Assemble and filmed the event. 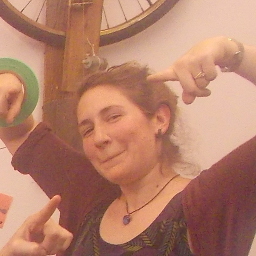 Amanda Hudson: Host instructor at Assemble. Provided logistics support at the event. The Multipurpose Mobile Manipulator is intended to be an ongoing, multi-semester long project, and it will evolve into my Senior capstone project as a Carnegie Mellon Student. Future collaborations with the Assemble organization are certainly possible as long as I continue my work in the Pittsburgh region. The robot will additionally participate in the 2016 Maker Faire and the CREATE Pittsburgh events in the very near future. During the summer, 3 more robots will be built with the lessons learned from the first version of the robot, and they will be used as an advanced educational robotics platform with 4 participating high schools during the 2016-2017 school year through the Project Ignite initiative at Carnegie Mellon University. Post-graduation, the Multipurpose Mobile Manipulator will be highly sustainable as I intend to launch a startup company dedicated to building advanced educational robotics platforms for hobbyists, students, educators and researchers with the initial objective of delivering university level robotics education for high schools.